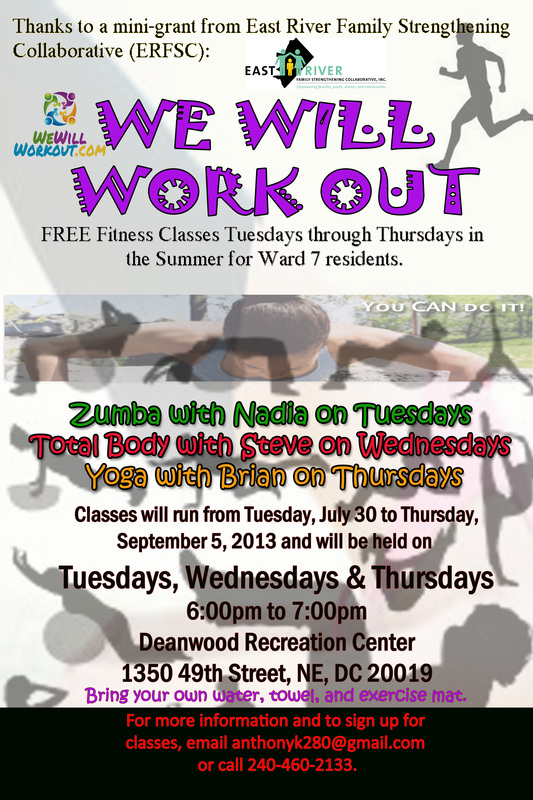 Wednesday, July 10 from 6:30 p.m. to 8:30 p.m.
Tuesday, July 16 from 6:30 p.m. to 8:30 p.m. 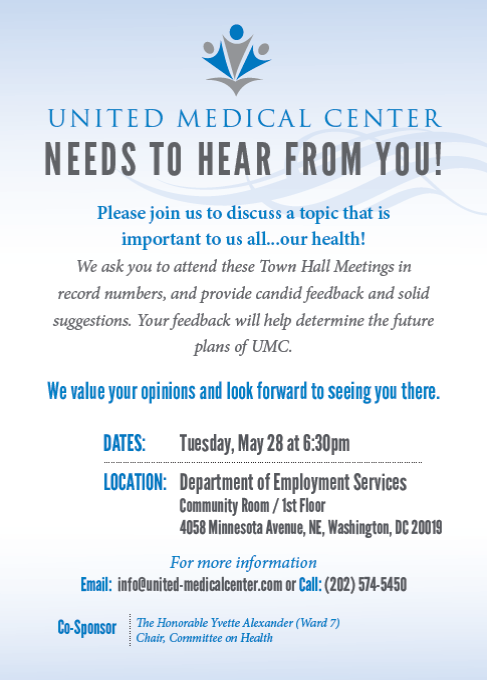 REMINDER – United Medical Center Town Hall Meeting – May 28 @ 6:30 p.m. 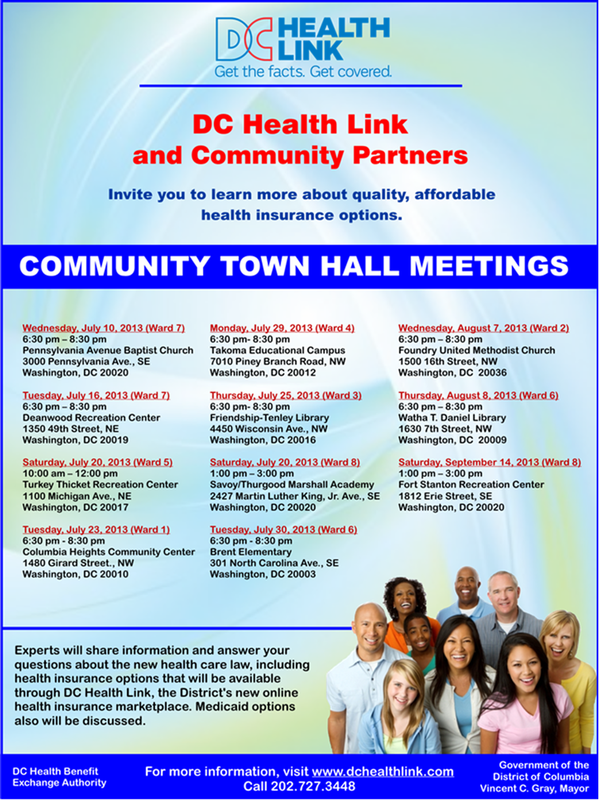 The Executive Board of the DC Health Benefit Exchange (HBX) Authority will hold a meeting to vote on a series of HBX Advisory Working Group policy recommendations, including the Network Adequacy, Qualified Health Plan Offerings and Benefit Standardization, QHP Issuer Certification Process, Individual Market Premium Collection and Market Transition Plan. Meeting materials can be found at www.dchbx.com under Board and Committee, Board Meeting Materials, March 13, 2013. The Executive Board meeting, chaired by Dr. Mohammed Akhter, is open to the general public. 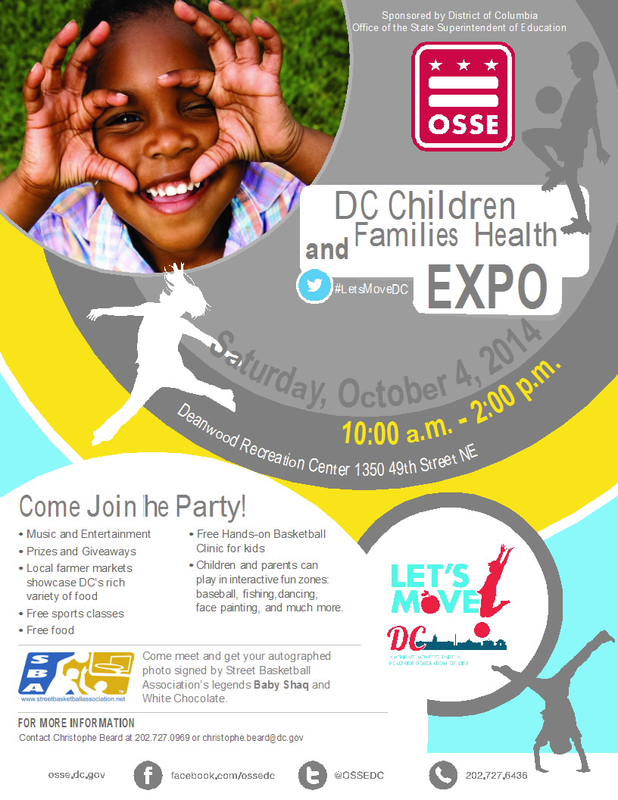 Public comments are welcomed.